Everyone desrves to feel beautiful in their skin. Erin customizes each facial for clients individual skin care needs. Skin By Erin in Temecula offers a wide range of facial treatments and only uses the best skin care that focuses on results and healthy skin. Erin specializes in facials, microdermabrasion, enzyme and chemical peels. Erin uses Skin Script Rx, Eminence Organic Skincare and Skin By Erin Skincare, Erin's own botanical skincare line, created by Erin. Skin Script Rx is known for their mild yet effective all natural fruit enzyme peels. 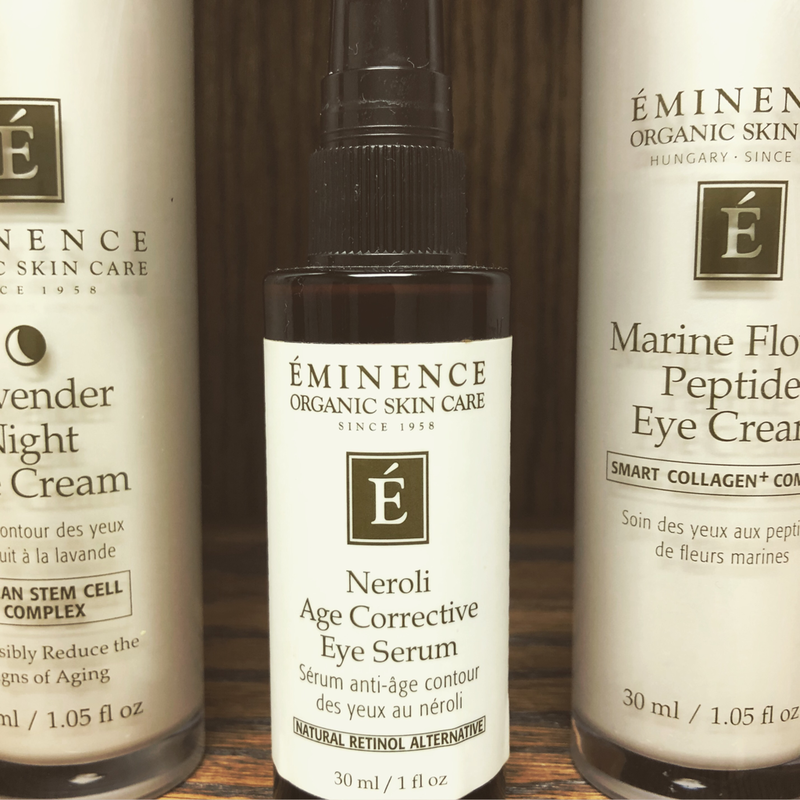 Eminence Organic Skincare is result oriented, organic skincare line that heals and treats the skin. 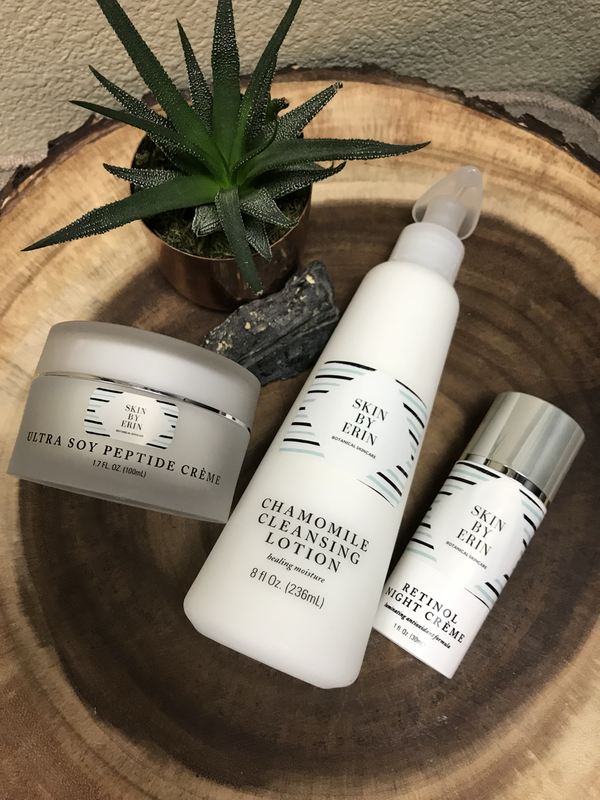 Skin By Erin Skincare, is a botanical skincare line that Erin developed for every skin type but especially sensitive skin that is beginning to see the signs of aging. Erin uses on most of her treatments to enhance the absorption of the nutrients into the skin. The different treatments listed below are just the beginning of what Erin will do for your skin. Every treatment Erin does will be different and specifically tailored for your individual skin care needs at that time. If you don't know what you need or are unsure of what treatment you want, just come and let Erin do the rest! Includes detailed skin analysis, deep cleansing, dual exfoliation including mild enzyme peel, extractions if desired, mini lip and eye treatments, active masques, and massage for the face, neck, shoulders and arms. A custom cocktail of active serums and moisturizers will complete your treatment. need, just choose the length of time and I’ll take care of the rest! Lighten and Brighten Vitamin C Facial...This facial will brighten your complexion. Citrus fruit enzymes lighten and brighten dull and dead skin. Clients with mild sun damage or hyperpigmentaton will love this facial. Firming Pomegranite Facial...This facial is designed to firm and tighten the skin. A special fruit enzyme with the firming ingredient Kalloran is used to firm your skin. This facial has a down time of 2-4 hours. Your face will be very pink because blood flow was increased to the facial area. Acne Facial...This facial is designed to clear up the most stubborn acne. Erin uses a combination of enzymes and exfoliants along with extractions to clear congested and infammed skin. Coconut Calming Facial... This facial was designed for rosecea skin or very sensitve skin. The Coconut Enzyme is a very mild enzyme with just enough exfoliation with irritating the skin, in fact it soothes and hydrates skin. Great for pregnant or nursing mothers. Anti-Aging Peptide Facial... This facial ws designed for mature skin. Erin uses anti-aging peptides combined with antioxidents to boost the vibrancy and hydration of your complexion. Hydrating Moisturizing Facial... This facial is for dehydrated, dry and dull skin. Erin uses hydrating enzymes and treatments to bring skin back to life. Rejuvenating Cherry Facial... This facial makes dull skin bright and clear. This enzyme contains natural skin brighteners that eat away dead skin cells. Erin uses Skin Script Rx, Eminence Organics and Erin's own skin care line, Skin By Erin Botanical SkinCare, on all of her skin care services and facials. *please notify Erin if you are on any medications. Please refrain from using any Retional products one week prior to treatment. If using or have ever used Accutane please notify Erin before skin care service. Temecula Facials, Esthetician, skin care specialist.